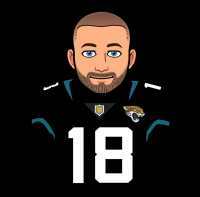 Don’t like how they used a font so similar to the Jags. 0,3,6,8, and 9 look they same at first glance. This is usually how they always leak. I actually said a few pages back something along the lines of the new logo will leak from the draft hats. Mid 2000s Lions logo, Jags word mark, and a few other things leaked because of toy trucks. Unless the companies wait to produce the team that is changing logos new merchandise for the season, something will always leak beforehand. Why not just put the football below the word JETS and not on top of it? So the color combination can’t be used by any team? If it’s just the name, I’d just do the current Texans uniforms in Oilers colors and be done with it. The Jaguars previous set number font/NOB matches the official word mark of the team. I’m guessing the logo will be NY in the background and where Bell is, will say Jets. They will probably incorporate the Jet stream in the set somewhere also. I bet the draft cap with the new logo will leak sometime before the unveiling. Both the teal and the black jersey were on the table when he signed his contract and was introduced. The only thing that bothers me about the Jags set is the white jerseys and pants lack teal. They have become a black,white, and teal team. Teal, black, and gold is a much better/unique color scheme, but other then that I like the uniforms. Any change that got rid of those helmets is a win in my book. 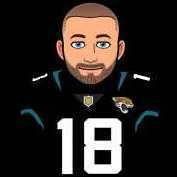 Teal didn’t have the Jags info. I did give him bits and pieces of info about the Jags stuff outside of this site, but he does have inside info from somewhere now. Some of you give him too hard of a time on here. He’s just excited about uniforms. This was one of three different styles they were down to, this was the one that was posted on here, but the other two weren’t posted on here. The one they ended up with and the other one was pretty much the same without the stripe near the collar. I described them, but didn’t want to be the one to leak the actual pictures. I was sent all of the graphics in the middle of February. The only things different from the final design was the number colors on the home and alternate uniforms and the helmet bumper.